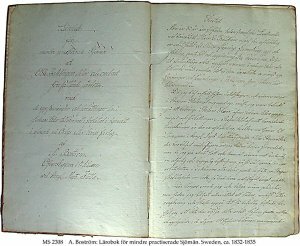 Description	 MS in Swedish on paper, Sweden, ca. 1832-1835, 193 ff. 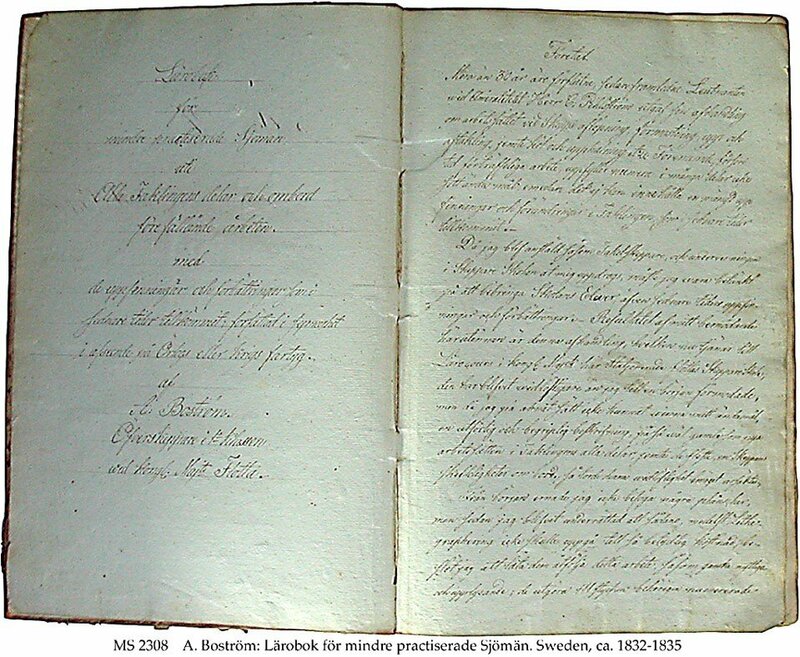 (complete), 34x22 cm, single column, (31x17 cm), 29-35 lines in Swedish cursive script. Binding	 Sweden, ca. 1832-1835, marbled boards, quarter calf, sewn on 3 thongs. Provenance	 1. Bibliothek Hammer Stockholm; 2. Admiral Alarik Wachtmeister, Skåne (-1953); 3. Alarik Wachmeister, Jr., Wallåkra gård, Helsingborg (1953-1996); 4. Antikvariat Classica, Vetlanda, Skåne.